A month ago, Bethesda’s Pete Hines was quoted by Official Xbox Magazine as saying “it’s not like we’re working with Arkane and asking them to make racing or rugby games,” the implication being that Prey and Dishonored are similar because, well, that’s what Arkane does. 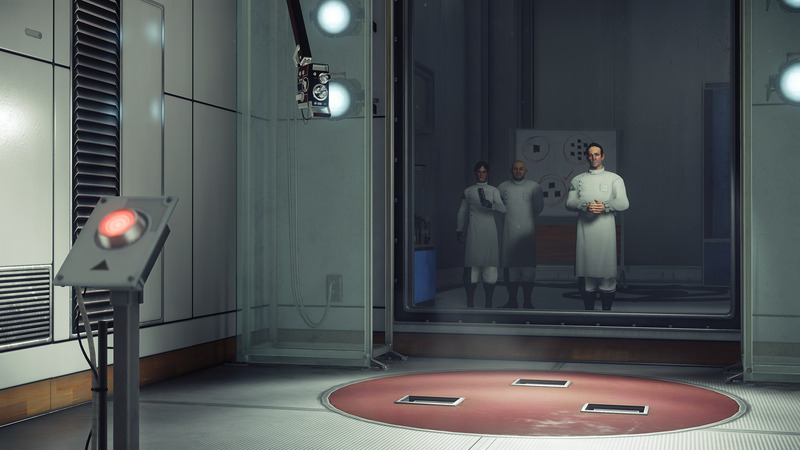 The catch: Prey isn’t really that similar to Dishonored. It’s BioShock. Or rather, given the space station setting, System Shock. Prey isn’t even trying to hide it. We went hands-on with Prey’s first hour or so last week, and while it’s certainly benefited from about ten years of game design, it is straight-up one of the most obvious BioShock-alikes I’ve ever played, from its vague art deco influences to the man squawking in your earpiece and giving you helpful tips. Hell, you even start the game swinging a wrench at baddies. What, you need more proof? Well, Arkane’s own Raphael Colantonio made the System Shock comparison to PC Gamer last week, saying “Dishonored is probably the legacy of Thief. 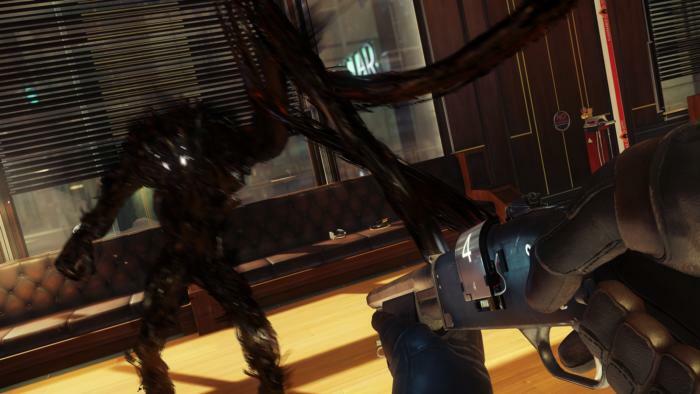 Prey is the legacy of something like System Shock.” As I said: It’s not some big secret. It’s kind of staggering the Shock games haven’t been copied more often, really. Especially BioShock, given how it was received in 2007. Hailed either as proof of “Games As Art” or “The Best Game Ever” or what have you, you’d think every studio would’ve cloned it ad nauseum. There’ve been a few obvious examples—Singularity—but for the most part that System Shock/BioShock blend of exploration and combat, of loud-quiet-loud pacing and environmental storytelling and subverting player expectations, just hasn’t made its way into other games. Prey's got it, though. Whatever it is, that ineffable BioShock quality, it’s here. I started noticing it soon after arriving on Prey’s Talos I space station. While the first twenty-or-so minutes of the game are fairly linear (and also something that shouldn’t be spoiled), the game soon opens up without ever making a big deal of it. Maybe it’s an out-of-order elevator shaft off to the side, or a locked room with some tantalizing items hidden beyond the glass, or a sealed airlock. And sure, the “Locked Room” is nothing new to first-person games, nor even to Arkane. Dishonored is littered with them. Dishonored's locked rooms are paths to a singular goal though. You can explore all you want, but doing so is pretty inefficient. You’re backtracking across areas you’ve already been, digging into unnecessary nooks, and often in search of nothing in particular—a handful of treasures, or a rune or bone charm if you’re lucky. Worse still is that it’s primarily a stealth game, so not only is such backtracking inefficient, it’s also dangerous. Get to the end, kill your target, get out. But Prey is one long series of side rooms. Enter the first hub and the voice in your ear gives you a short directive—get to the command area and watch a video. Or don’t. I never made it. Ran out of time, actually. With no idea how to get to the goal, I picked a direction and started walking. A locked door barred my way, but I’d invested in the first hacking level and soon had it unlocked, by way of a mini-game that involves guiding a dot through a maze. It’s no Pipe Mania but it’ll do. Inside were two of Prey’s Phantoms, the large alien seen in the screenshot above, which I wasted my last few shotgun shells on. My reward? An audiolog, of course. Some ammo. And another door, this one leading into a hallway, up some stairs, then into some sort of lounge area filled with Mimics—aliens that hide by transforming into harmless objects, like coffee cups and garbage cans. There were other paths. The elevator shaft, for instance. A person skilled in repair, and with enough spare parts lying around, could get it working. A less-skilled person could use the game’s GLOO Cannon, spray quick-drying glue on the walls to build small outcroppings, and then painstakingly climb up the shaft hopping from ad-hoc ledge to ad-hoc ledge. I know because someone else did it during our play session. This sense of needing to explore is what made the Shock games so special, and what’s set to make Prey feel the same. One room after another after another. The architecture folds in on itself, collapsing into a giant labyrinth—some parts accessible, some still tantalizingly out of reach. The draw of these rooms, of trying to open more of Talos I, is far more interesting than whatever you’re actually supposed to be doing. And it’s not just because of the rewards contained within. No, what puts Prey in the realm of the Shock games is the attention paid to each room. Like always, I can only speak to the hour we played in our preview, but Prey made me want to get lost. The story of Talos I is told just as much by its architecture, its decor and the various objects scattered about in each room, as it is by documents, audiologs, and dialogue. 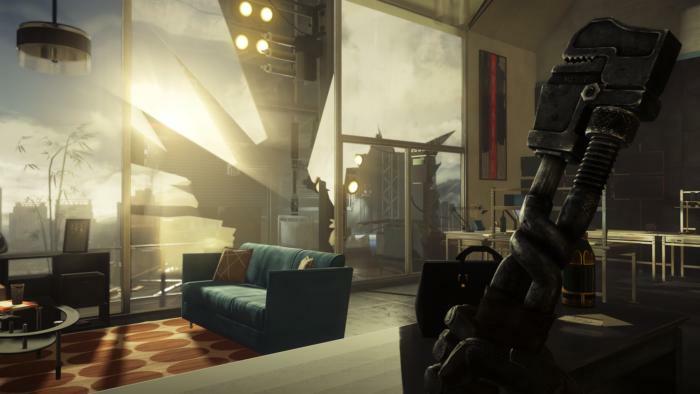 In this aspect, you can definitely see the similarities between Prey and Dishonored—Arkane is a talented world-builder. 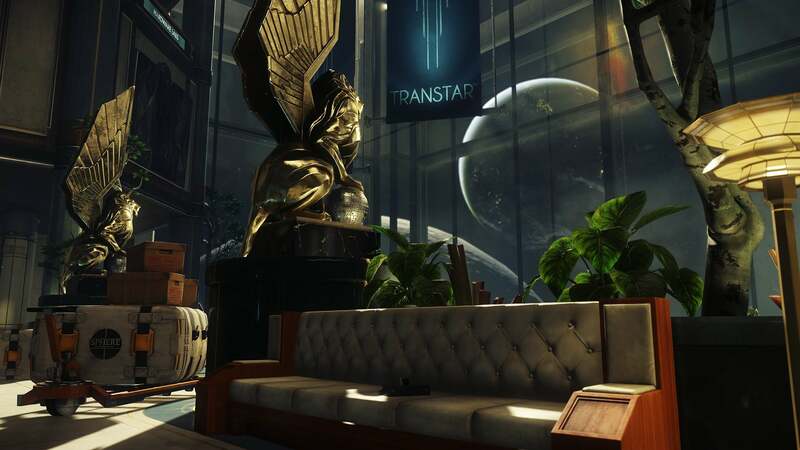 Prey’s space station is less daring than Dishonored’s weird “whalepunk” cities, but Talos I is still one hell of an achievement. Ostensibly constructed during an alternate-1960s, in a timeline where humanity got a foothold in space much earlier than in our own, it’s equal parts old-fashioned and ultra-modern, science facility and vacation home, opulent and derelict. It’s the type of place where a server room, cold and dark, sits mere feet from a plush lounge full of crushed velvet and gold trim. Really, my main problem at the moment is that an hour is just not long enough to get a handle on Prey. It’s easy to say it’s System Shock-esque—again, even the developers have made the comparison. It’s that obvious. There’s so much to explore though, and so much of the story remains under wraps—both on my end (for fear of spoilers) and on the part of the game itself. Entire systems are still only half-revealed, including three alien-related upgrade paths that weren’t available during our time with the game. It’s just a lot of unknowns that will need to wait for the full release. And post-Dishonored 2 there’s also the matter of performance. During my demo the frame rate was hardly what I’d term stable, often stuttering or slowing down considerably when I turned the camera or sprinted around the station. Will those problems be fixed before launch? Hopefully. But while I’ll always recommend not preordering, that goes doubly when the developer’s previous game was a wreck on PC. Fool me once and all. Prey releases May 5, and we’ll have a review as close to launch as possible.